The background to this highly interesting issue is more historical than musical. Indeed, the works on this programme provide a window on eighteenth century Iberia, when the Braganzas ruled Portugal and the Bourbons sat on the Spanish throne. One must keep in mind what went on previously during the wars of the Portuguese Restoration and the Spanish Succession, wars that left an air of insecurity and despair in both nations. Wanting to depart from their traditional austerity, both Lisbon and Madrid started engaging the greatest artists of the age to revive a new joie de vivre in both monarchies, and naturally music was of paramount importance. At the time, Britain and Lisbon enjoyed a special relationship, and this is given full due in William Corbett's Concerto alla Portugesa, inspired by music written by Italians in Portugal from his collection of concertos called 'Le bizzarrie universali', published in 1728 and 1742 respectively. Charles Avison's 'Concerto Grosso' No 5 of 1744 is a homage to Domenico Scarlatti, one of the most esteemed composers of the age. Indeed, each movement of this work is an orchestral transcription of one of Scarlatti's sonatas. 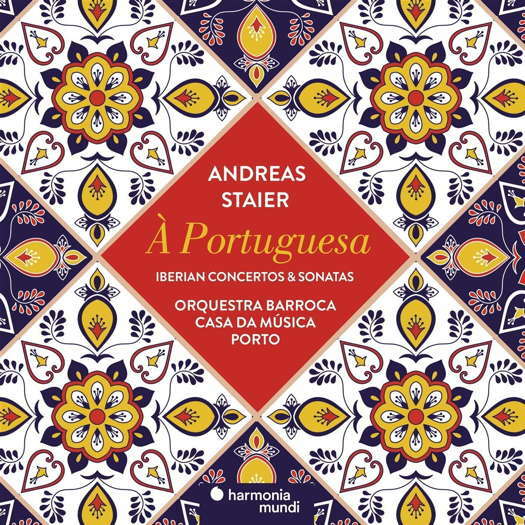 One of the latter's most gifted pupils in Lisbon was José António Carlos de Seixas, and deservedly Staier plays three Scarlatti sonatas flanked by two harpsichord concertos by his protégé. The latest piece of this stimulating collation is Staier's arrangement for string orchestra and harpsichords of Boccherini's famous Quintet in D Minor, Op 30 No 6, depicting music in the streets of Madrid at night, a captivating and charming work that falls sweetly on the ear. Summing up, this is a splendid compendium, finely and eloquently played by an ensemble that is passionately committed to creating a sound world that never ages. Absorbing booklet notes and state-of-the-art sound complete a disc that I recommend wholeheartedly to young and old alike.